Work your styling techniques to make this dreamy top fit any occasion. 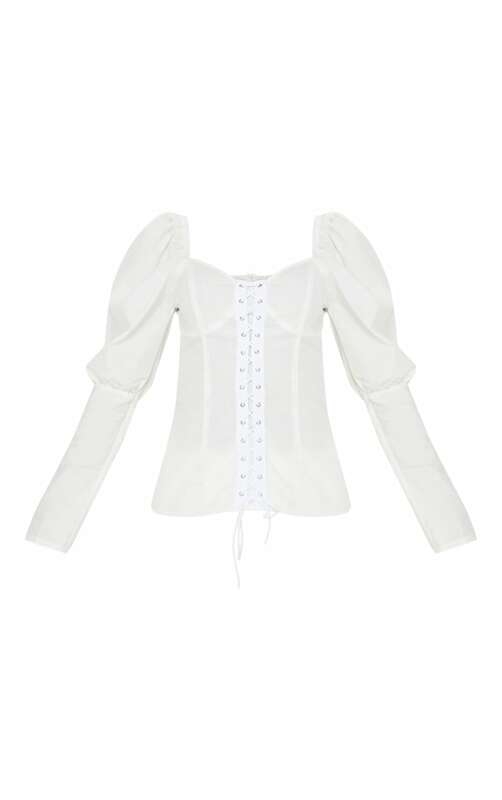 Featuring a white fabric with a lace up fastening, cup details and puff sleeves, what's not to love? Style with a lace up mini skirt and clear strappy heels for a look we're loving.